Your teeth are off color or not a uniform color – this can come from several factors like medication or genetics. You have large fillings made from resin that have dulled or stained your tooth or teeth. Your teeth have become worn down, splintered, broken or cracked. Your teeth are not shaped symmetrically. A tooth veneer or dental veneers (sometimes called porcelain veneers or dental porcelain laminates) are very thin shells of tooth-colored materials custom-made for you. These cover the front surface of a tooth/teeth to complete the tooth or smile. They are matched specifically to your own tooth color. These shells are bonded to the front of the teeth changing their color, shape, size, or length to make your smile symmetrical and straight. A tooth veneer or dental veneers can be made from porcelain or from resin composite materials. Both materials have their own particular advantages, so you will need to discuss the best choice of tooth veneer or dental veneers material for you with your dentist. They look like natural teeth and complete your smile. Porcelain usually does not irritate gum tissue. 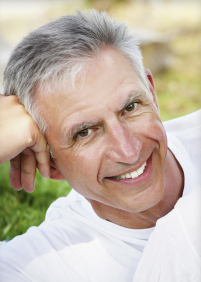 Porcelain veneers are difficult, almost impossible to stain or discolor. You can choose a whiter color for the veneer but this would probably only work if you get veneers on all your teeth that show, but Dr. Braun can partner with you to make the best decision for this. Veneers offer a less intrusive method than that of a crown to change a tooth’s color and shape. Call us today to talk to our friendly team about a tooth veneer or dental veneers.